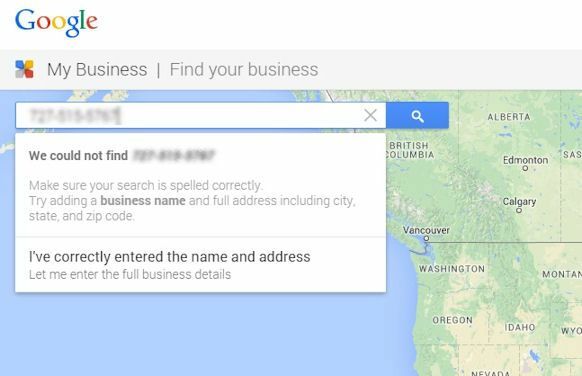 Getting your business listed with Google My Business is one of the most important things your can do for your business in regards to local SEO. 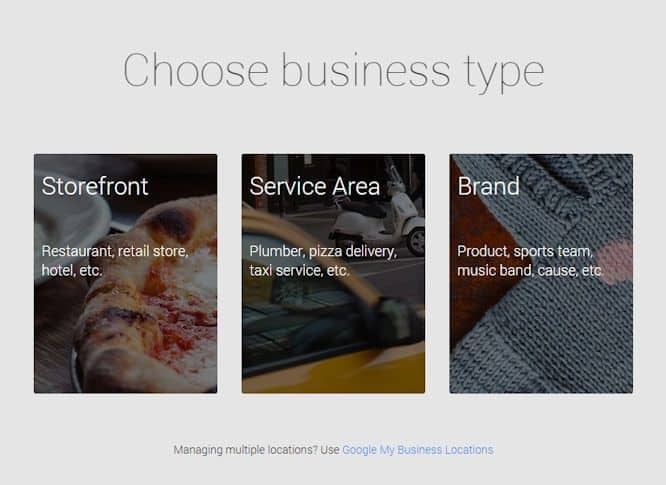 Your Google My Business page will show up in Google’s search results, Google Maps and Google+ on both web browsers and mobile apps. 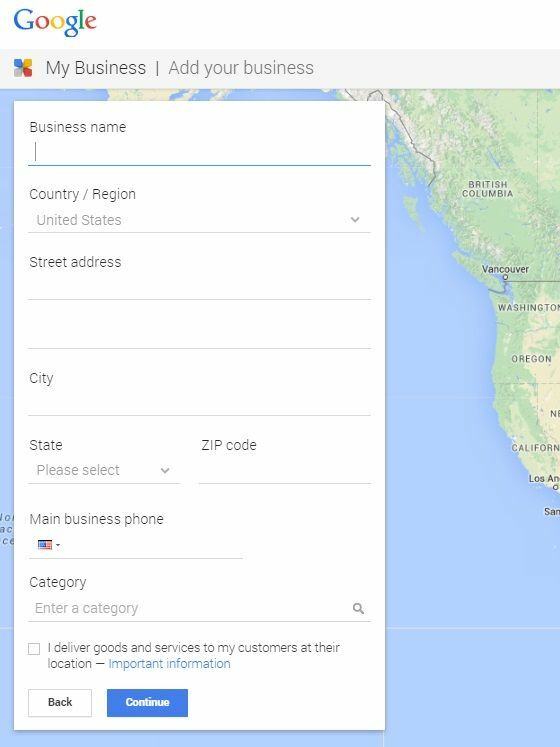 Follow these step-by-step instructions to get your Google My Business page set up! 1. Make sure you have a Google account. If not, sign up here: https://accounts.google.com/signup. 2. Go to http://www.google.com/business/ and click “sign in” in the top right hand corner. 3. Select “get your page”. 4. Select “storefront”, “service area” or “brand”. Storefront: this is for businesses with physical locations like a hardware store or salon. Service Area: this is for businesses that do not have a physical location but service customers within a service area like a mobile window tinting business or a home-based website consultant. Brand: this is for a brand that doesn’t want to use their physical headquarters but wants to rank nationally like Nike or Starbucks. 5. Enter your business phone number. 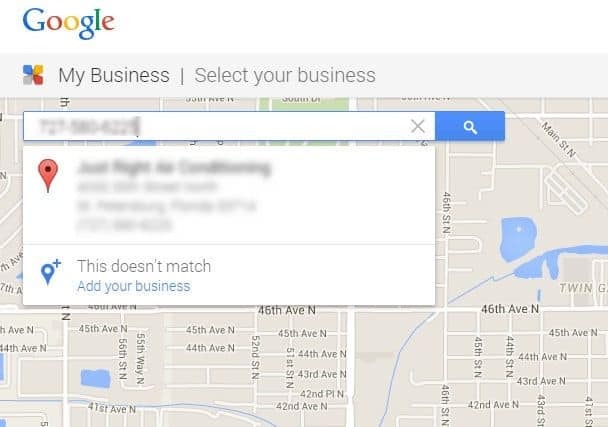 6.0 If your business doesn’t show up, click on “I’ve correctly entered the name and address” under the search bar. 6.1 Fill out all of your business information. Note: only include categories that are actually relevant to your business. 6.2 Google will ask you to create a Google+ page if you don’t already have one. 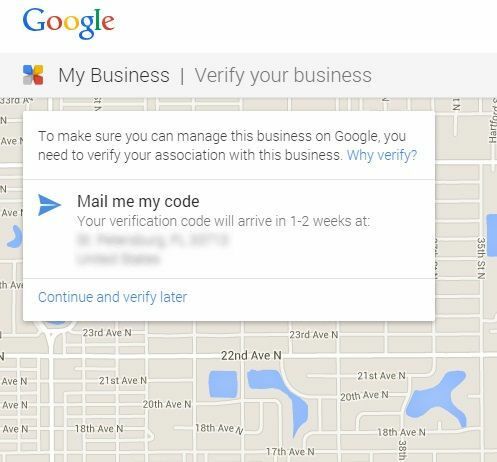 6.3 Once you have entered all of your business information Google will want to verify that you are the business owner. They will most likely send a PIN to you via a post card in the mail. 6.4 Once you receive the post card, visit http://www.google.com/business/ and click “sign in” in the top right hand corner. 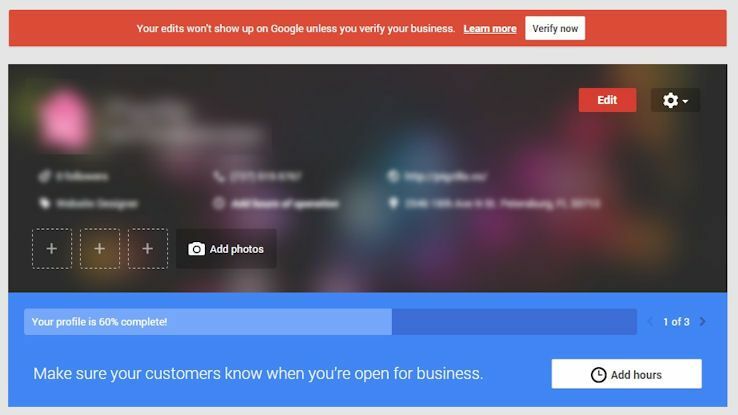 6.5 Select your Google My Business Page that you want to verify. 6.6 Enter the PIN number that you received from Google. 6.7 And Viola! You’re done! 7.0 If your business does show up, click on your business under the search bar. Note: If your business is already claimed by someone else, you can request admin rights to edit your listing. 7.1 Fill out all of your business information. Note: only include categories that are actually relevant to your business. 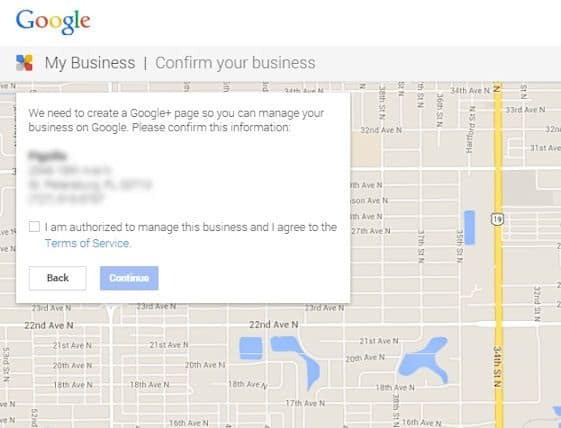 7.2 Once you have entered all of your business information Google will want to verify that you are the business owner. Google will do this by phone or post card. They will send an automated phone call to the business phone number. When you answer it you will need to enter the PIN number that Google shows you on the screen. Then you will be done setting up your listing. 7.3 Once you receive the post card, visit http://www.google.com/business/ and click “sign in” in the top right hand corner. 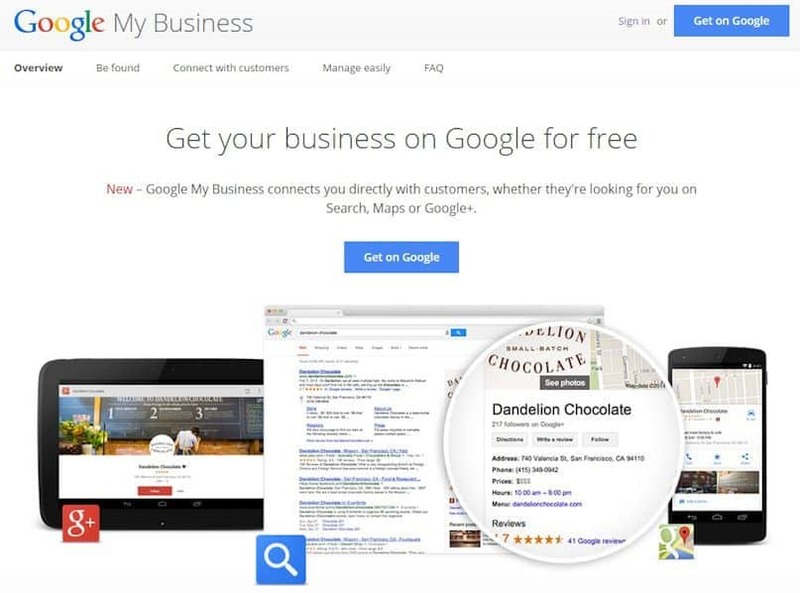 7.4 Select your Google My Business Page that you want to verify. 7.5 Enter the PIN number that you received from Google. After you have completed all of the necessary steps, go back through your Google My Business page and make sure you have filled out all possible details like business categories, business description, hours of operation and so on. 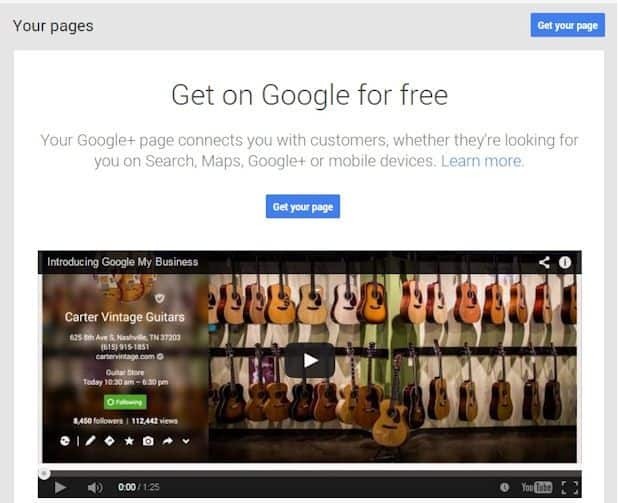 You can also share social posts and interact with customers using your Google My Business page.